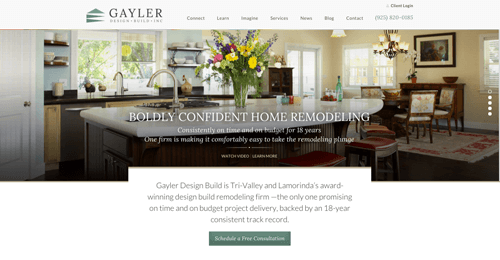 Newsletters | Gayler Design Build Inc.
On behalf of all of us at Gayler Design Build, Inc., I am excited to introduce to you our new bi-monthly e-newsletter that connects you and your home with our design build team, the local community, events, and all things remodeling. This newsletter is part of a fresh new graphic identity that resulted from months of research to help us better understand our strengths, client experiences, and strategic direction. With the help from many of you, we came away from this exercise with a renewed passion in our business and a firm understanding of who we are as a design build firm. We are excited to be rolling out a new graphic identity that better aligns with who we are and continues in our mission to become the remodeler of choice in the Tri-Valley area. 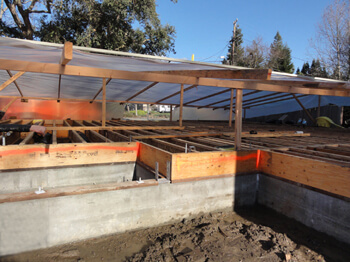 Thank you for your continued support of Gayler Design Build. We look forward to continuing to serve you. Gayler Construction has officially changed its name to Gayler Design Build to better reflect our expertise. In addition, we have unveiled a stunning new website, reimagined to demonstrate our firm's 50 years of excellent service and award-winning residential design build construction. "We are in the midst of a major, exciting transformation. 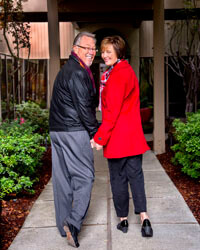 We have a tremendous past that we are proud of, and we are even more energized looking to the future. Our new identity, name and site will make a powerful impact in the marketplace while celebrating what we have become," says Darlene Gayler. "We look forward to offering sound remodeling advice and services that suit our clients' budget and lifestyle requirements, delivered on time and on budget." Please visit our new website and let us know what you think. Any and all constructive feedback is welcome. With the holidays quickly approaching, we are reminded of the many blessings this year, all of us at Gayler Design Build want to take this opportunity to thank you for letting us into your lives and entrusting us with your home remodeling needs. 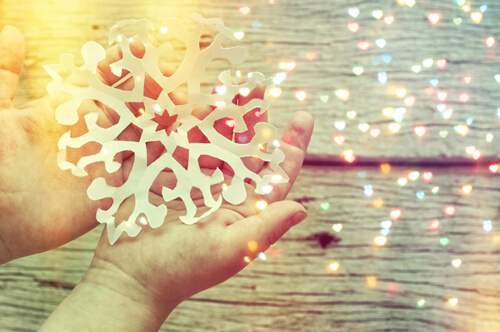 Wishing you and yours every happiness this holiday season and throughout the coming year. Are you already looking forward to the warmer weather of next spring in order to get a jump-start on your home remodel? Many homeowners believe they need to wait until the arrival of spring or summer to begin a home renovation project because of weather concerns or the need to get out of the house while work is being completed. We're happy to tell you there's no reason to wait. Gayler Design Build can build in any season. Consider it just another luxury of our mild California weather—we have systems in place to deal with almost anything Mother Nature throws at us. Learn more. Gayler Design Build is an active participant on Houzz, a social networking site that allows users to view and share images related to home design. If you are a Houzz user, we hope you will stop by and pay a visit to our profile page. We welcome you to share your design and decorating tips, and of course we'd love your feedback on your Gayler Design Build experience. 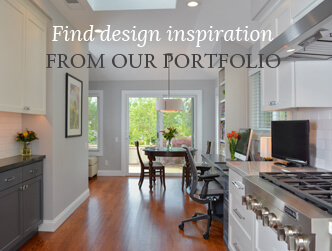 If you aren't a Houzz user, we encourage you to check it out. However, be forewarned, it can be a delightfully addictive experience. Copyright © 2015 Gayler Design Build, All rights reserved. "We have worked with Gayler construction on two projects to renovate and upgrade the front of our house. In both cases, Gayler Construction was able to provide a number of creative alternatives to solving our existing problem while enabling us to stay with"